The Body Shop Sears is rated as one of Hicksville’s best auto body and collision shop. We are located at 414 N Wantagh Ave, Bethpage NY 11714 and can be reached at 516-933-7327. We have been servicing the Hicksville’s community auto body and collision shop needs for over twenty years. We say were one of Hicksville’s best auto body and collision shop because over the years this is how we have been rated by our customers on google. We are a full service shop that is able to handle any of your auto body and collision repair needs. 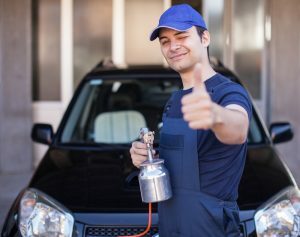 Just one five star review after the next, this is how our customers see this Hicksville’s best auto body and collision shop, and we hope you will see us this way as well. We want to remain Hicksville’s best auto body and collision shop, and so we offer incentives to our new and returning customers. If you’ve had an accident we offer a “free estimate”, (24/7 Towing Service), we will take $200 off your deductible for any new auto body and collision job. If you’ve been a satisfied customer of the Body Shop Sears and would like to refer us to a family or friend, we will give you $100 Amex Gift Card for your referral. These are just a few ways we say thank you to our customers because we really appreciate your business.